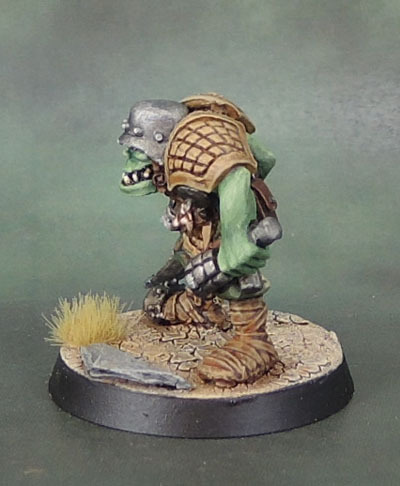 Orktober 2017 #1: Rogue Trader-era Kev Adams Space Ork (440206 – Oct 1988) | Azazel's Bitz Box. 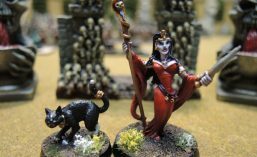 This entry was posted in 40k Orks, GorkaMorka Models and tagged 40k, kev adams, Orks, Rogue Trader, Warhammer 40000, Warhammer 40k. Bookmark the permalink. Cheers, IRO. I had to look it up myself awhile back to figure out what they were called. Great stuff mate. Nice to see one of these classics painted so nicely. Sorry to hear you’ve been sick; I hope things get better soon! Thanks mate. Just a cold keeping me down when I need to be resting up for the last, madhouse, quarter of the year. 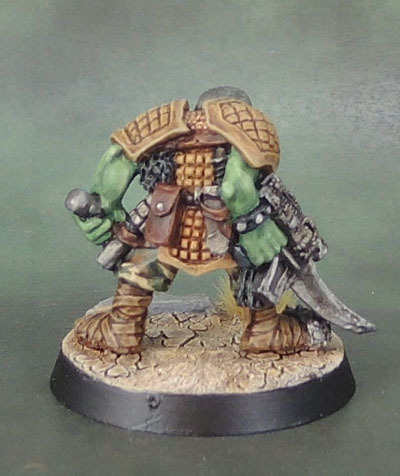 I’m hopeful of getting a few more classic RT/Kev Orks done alongside the later Nelson ones that I’ve been working on. Nicely done mate & get well soon! Thanks Alex. I think I’m (hopefully) on the upswing. Feeling far better today than I have anytime in the past week or more at least! Nice work, love the colors and shading. Get well! 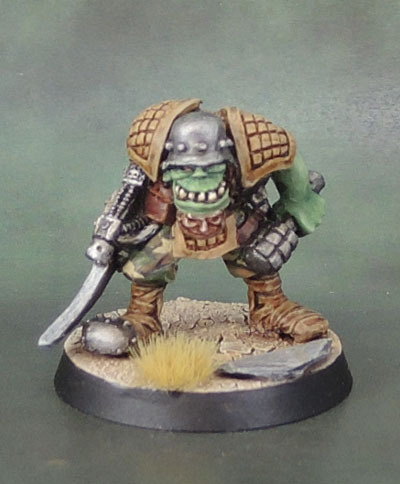 I’m in the process of finalising a few more Orks (though newer ones) in a similar scheme, so hopefully I can get those posted up this week! 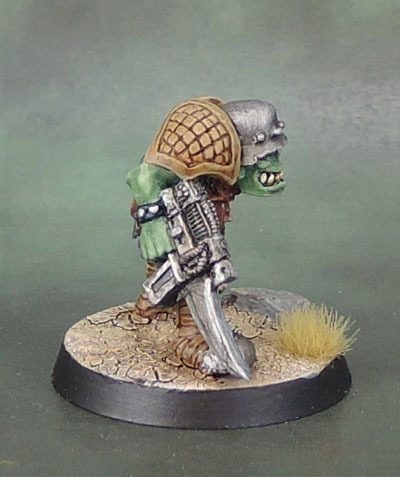 Pingback: Orktober 2017 #1: Rogue Trader-era Kev Adams Space Ork Mekaniak (440206 – April 1989) | Azazel's Bitz Box.